LCA Rising Stars course centers upon familiarising young students with Mandarin through a combination of songs, lessons and games to help build both confidence and interest in learning the new language. Continued learning at home: Weekly learning guide with videos, flashcards sent after each class for home practice. Satisfaction Guaranteed: if you find out that after your first session that the class is not for your child, we will give you a full refund, including the first lesson you’ve attended. I think that your school is great, I think your teachers are amazing, they know how to deal with kids of young age which is extremely rare to find. 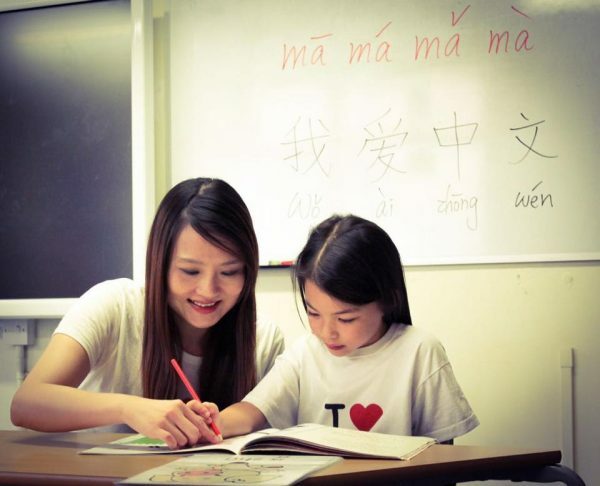 Our girls enjoy their lessons with the teachers at Link Chinese Academy, Hammersmith. In particular Lin Laoshi is very caring to her students and is genuinely interested in the development of her students.